Sunday, October 18, 2015 at 4:00 p.m. 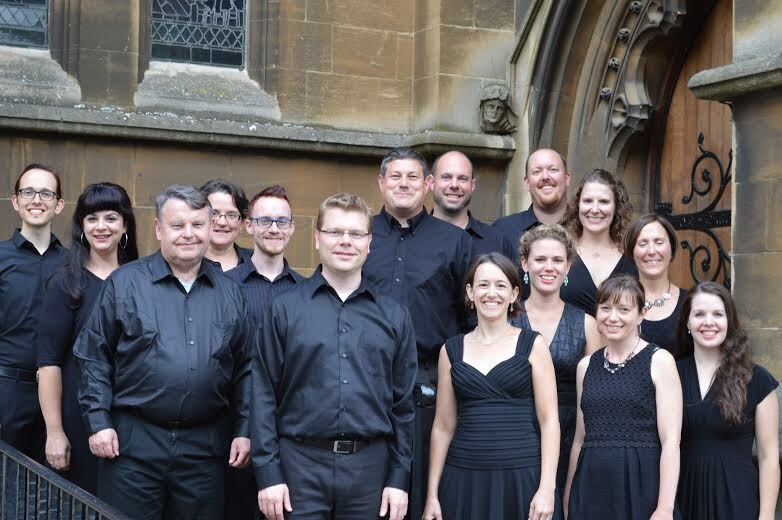 The Vocális Chamber Choir opens our season with texts in tribute to music – its beauty, power, meaning, and emotion. The ensemble of dedicated professionals, under the direction of James Burritt, will perform music of Vaughan Williams, Britten, Brahms, Lassus, McGlynn, Brubeck – and other surprises. Join Vocális and Blessed Trinity as we celebrate the greatest of all art forms! Tickets available at the door: $15 per person – $10 student. Sunday, December 6, 2015 at 3:00 p.m. The Freudig Singers, under the direction of Roland E. Martin, offer audible as well as edible holiday confections. Highlighted will be Samuel Scheidt’s Magnificat, which inserts German carols between portions of the text, as well as a delightful assortment of holiday favorites, old and new. Their very popular seasonal program concludes with their traditional post-concert pie reception. We’ll save you a piece! Free Will Offering – Suggested Donation: $10. Back by popular demand! The husband and wife duo of tenor Robert Zimmerman and soprano Amy Grable were such show stoppers when they opened our series last fall that we’ve asked them to return, this time for Valentine’s Day. Their Celebration of Love offerings of some of musical theater’s most cherished love songs and duets are sure to provide a sweet treat for your heart and soul. A post-concert reception will take care of your palate. Free Will Offering – Suggested Donation: $10. Friday, April 22, 2016 at 7:30 p.m. 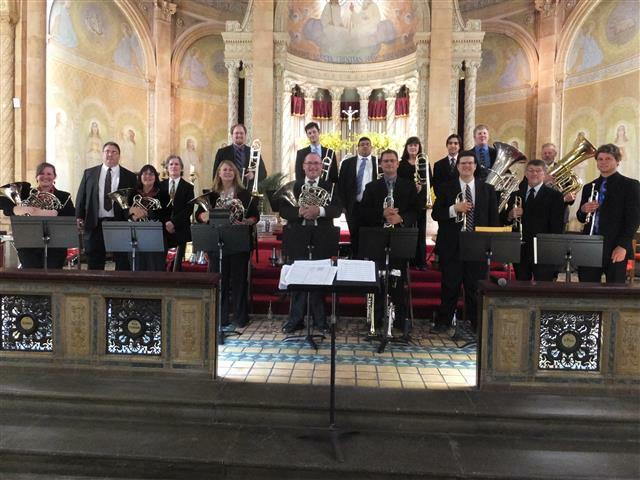 The Buffalo Brass Choir, Blessed Trinity’s Ensemble-In-Residence, closes our season with a program of all-American works originally composed for brass ensemble. Highlights include “Fanfaria” by local composer Rob Deemer, and a solo performance by Timothy Smith, second trombone with the Buffalo Philharmonic Orchestra. The program concludes with Alfred Reed’s rousing “Symphony for Brass and Percussion.” Free Will Offering – Suggested Donation: $10.